It was Christmas eve and Mark was sitting comfortably on the couch, watching the extended family’s children unwrap their presents. His nephew opened his parcel — a big, red remote-controlled truck! Then his niece — a pair of Hatchimals, the newest craze! Even better! Mark sat back with a knowing grin on his face. His 4-year old son, Adam, was about to open his big box, the one with the little air vents and the bright blue ribbon around it. The family heard a soft, high-pitched bark and something that sounded like little paws scratching on carton… Adam’s little face lit up. Surely, it can’t be what he thinks it is… That will top all the other gifts. That will be like the best gift in the world… EVER! For like 15 minutes. And then someone will have to clean up the cute mess it made on the Persian carpet. And look after it, once Adam has lost interest and preferred the big, red truck of his nephew after all. In fact, someone will have to look after it, feed it, potty-train it and exercise it not just for the rest of the festive season, but for the next 15 years or so. The truth is that many people will receive the ultimate gift of a cute puppy this festive season, and while some might be expecting it and be 100% prepared for the responsibility, unfortunately there will be those who didn’t even ask or want a dog in the first place. The bottom line is this: if you are unsure about whether someone might want a dog, then DON’T GIVE THEM A DOG. The decision to own a dog should be one person’s only and that’s the person who has to take care of the dog every day. Often people make the mistake of thinking that giving a dog to their parents or other older or lonely people will be a good idea. It might be, of course, but it all depends on the person receiving the dog and their circumstances. Firstly, you’ll want to make sure the person actually wants a dog. Secondly, you’ll want to let the person choose the dog him or herself. It’s not a refundable item they can return or exchange for a better size. Thirdly, even though a person might want a dog, they might not be financially able to properly care for the dog or their working or living circumstances might make it very difficult for them to properly take care for and enjoy their dog. The other pitfall is buying a child a dog if he or she is not yet old or emotionally mature enough to come to terms with the responsibility. Of course, any under-aged child’s parent or parents will end up carrying the financial burden. But you don’t want the scenario where your child loses interest in the dog and you then have to begrudgingly become its ‘real’ owner out of necessity. Worse even is if the puppy or adult dog has to be taken to the SPCA or shelter because no one wants to care for it anymore after the puppy cuteness has worn off. There are literally thousands and thousands of homeless dogs out there looking for homes already, so adding to this problem is not just cruel towards the dog, it’s plainly irresponsible. Also remember that the festive season might not be the best time to get a dog as you’ll probably want to spend more time socialising with loved ones and not be at home as often. However, if you have done your research and are as sure as you can be that you’re ready to get a dog, don’t forget that you don’t have to buy a puppy from a breeder, but can easily adopt one of the wonderful puppies or adult dogs at the many dog adoption organizations around the country. One of these is Oscars Arc, a non-profit organization in the Western Cape that takes healthy, happy and ‘homeable’ dogs from shelters and places them in the WOOF Project. 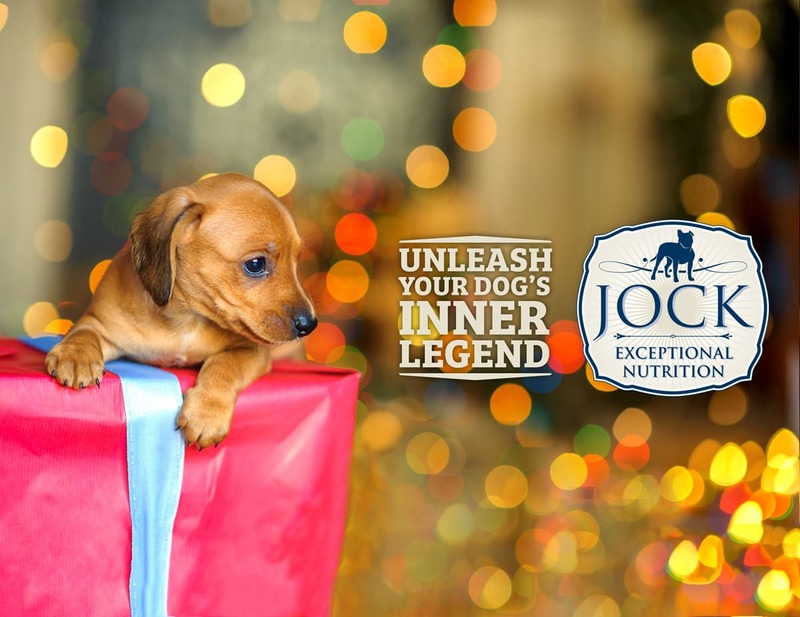 This dynamic pop-op project travels across the Western Cape and provides a customer-friendly and efficient adoption experience and gives incredible exposure and PR to dogs that would have otherwise been sitting in an overcrowded kennel somewhere. 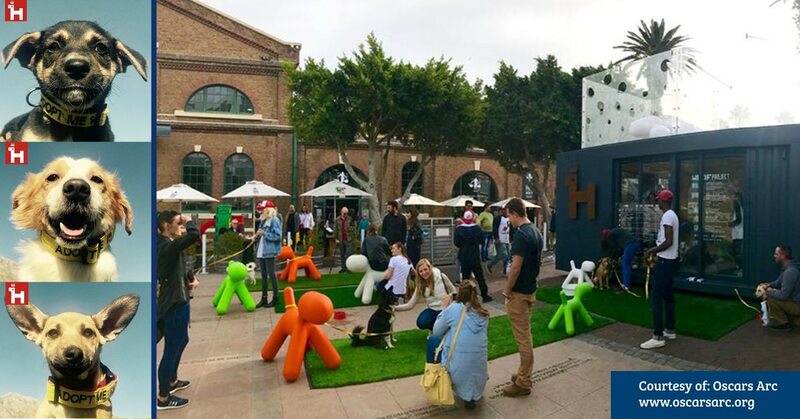 The fun, interactive metal container has become a bit of a landmark in and around Cape Town as volunteers give the dogs exposure to potential new owners in a friendly, public space with the eye on finding a safe, happy home for the lucky dogs. The WOOF Project will be located on the Sea Point Promenade for the whole of December, and will even have Santa deliver your new best buddy on Christmas day. For more information on the project, visit Oscars Arc’s website and check out the schedule of the traveling WOOF PROJECT.